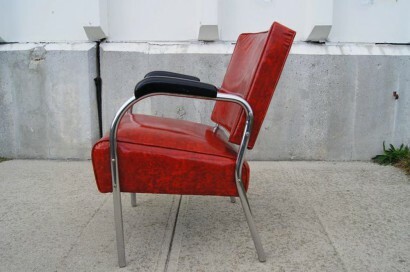 This 1940s moderne armchair was produced in the United States. 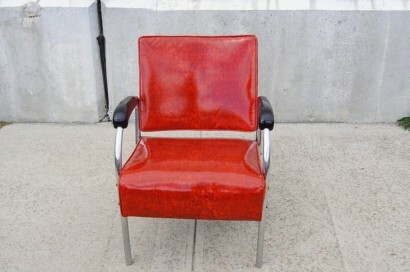 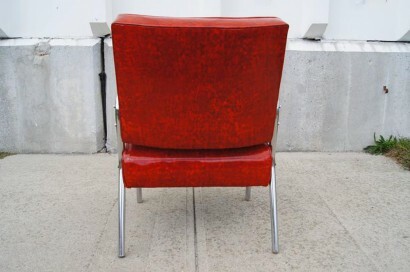 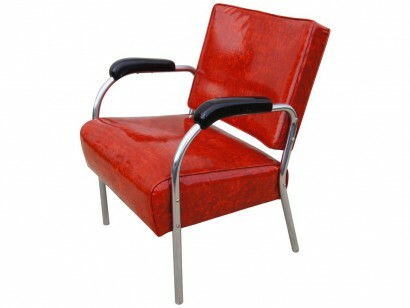 The tubular chrome frame features black resin armrests; the comfortable seat and backrest has been newly reupholstered in vintage Naugahyde in a brilliant ruby red. 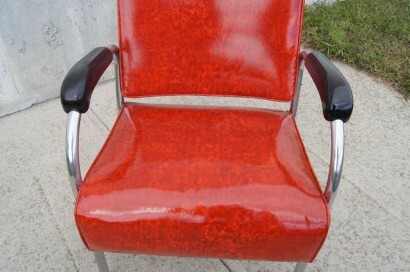 We have five chairs available.